08 Dec 2018 / 11:11 H.
LONDON: Datuk Seri Dr Wan Azizah Wan Ismail (pix) described her maiden official visit to the United Kingdom as Deputy Prime Minister as successful and achieving its objectives which also closes her series of visits to build international relations for the new Malaysian government for 2018. 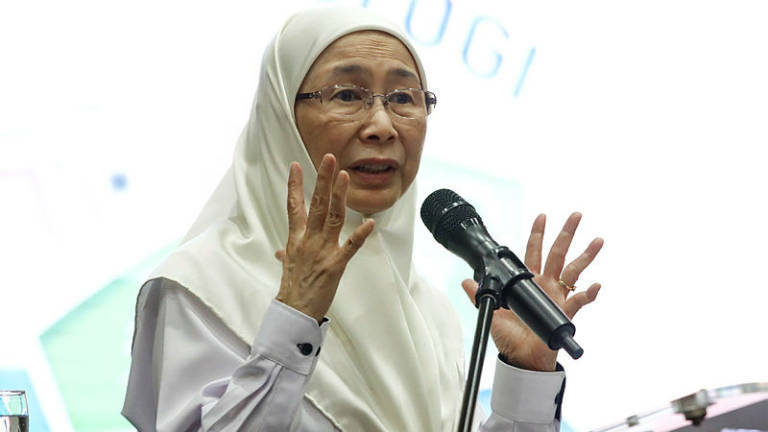 In making national political history, Wan Azizah, 65, is the first woman in Malaysia to hold the number two post of the country’s top leadership since joining the cabinet under the Pakatan Harapan-led government on May 21. Among the countries she visited were Mongolia, Indonesia, Cambodia, Belgium, Qatar and finally to the United Kingdom. The three-day official visit to Britain had to be shortened as she has to attend an important meeting with the top leadership of Pakatan Harapan in Kuala Lumpur on Saturday which saw her went through a heavy and tight schedule. The highlight of Wan Azizah’s official visit was her keynote address at the World Muslim Leadership Forum (WMLF) 2018, which demonstrated her leadership as the first woman deputy prime minister of Malaysia as well as the role of Malaysia in empowering women and girls in economic, social, administration and political sectors. 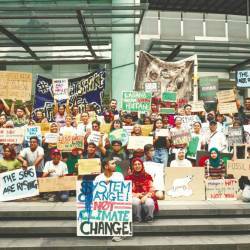 “I want to categorise my involvement in WMLF this time as meeting the objective of putting forward the roles of women and girls and achieving Sustainable Development Goals (SDG) 2030,“ said Wan Azizah, who is also the Women, Family and Community Development Minister. 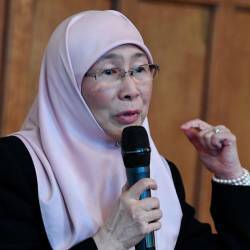 As the country’s key leader, Wan Azizah, sees the opportunity to uphold the dignity of women in the eyes of the world especially on matters relating to women, children and community development in the progress of the country. It was most unfortunate that her visit had to be cut short. Otherwise the mother reformation would further open the way to strengthen bilateral relations with UK including attracting more British investors and companies to Malaysia. In her visit, Wan Azizah was accompanied by Domestic Trade and Consumer Affairs Minister Datuk Seri Saifuddin Nasution Ismail who was also involved in WMLF on the halal industry as well as the Malaysian Halal Industry Development Corporation. Also in the deputy prime minister’s entourage was Deputy Foreign Minister Senator Datuk Marzuki Yahya. They were present in Wan Azizah’s meeting with United Kingdom Secretary of State for Foreign and Commonwealth Affairs Jeremy Hunt and during the discussions with Oxford Centre for Islamic Studies (OCIS) in Oxford, about 90 kilometres from London. Wan Azizah also took the opportunity to exchange views with top scholars on contemporary issues on Islam such as terrorism, Islamophobia and atrocities on Muslims. “I am taking the opportunity to discuss matters to enrich our knowledge from sources obtain via findings and research at Ocis,“ she said in summary of her visit to the research centre on Islam. Despite her busy schedule to boost bilateral ties between Kuala Lumpur and London in areas of mutual interest, she also found time to meet the Malaysian community especially professionals who have been living in UK permanently. Currently there are 79,000 Malaysians in Britain including 16,000 students studying in 130 institutions of higher learning. Wan Azizah also took the opportunity to mingle with 200 Malaysian students and updated them on the latest development in Malaysia as well as challenges faced by the Malaysian government led by Pakatan Harapan, the economic situation as well as the future direction under the new Malaysia concept. She also invited Malaysians in UK to contribute towards realising the meaning of democracy and translating reformation for the recovery of Malaysia.